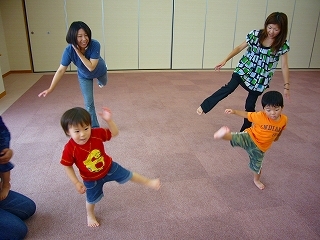 Simple daily movements keep you young and healthy. But before anything else, you should know whether you belong to the younger side or unhealthy side, and whether your brain is working just right or not. At first, how to check your health condition whether you are young or old, or how to check your brain if it is working as young as 20 or 30 years old? You do not need any sophisticated measuring machines. You can check it simply. Stand with one foot without holding anything. If you can keep standing with one foot for over 10 seconds with your eyes closed, then you are healthy and your brain is working well. If you cannot keep this position for more than 5 seconds, then your brain and physical body may belong to unhealthy ones. You should do something to restore your former health. For sure, your brain might be shrinking and getting harder. We recommend that you enjoy with your children just like the photo below. It will keep you young and healthy including the entire family circle. 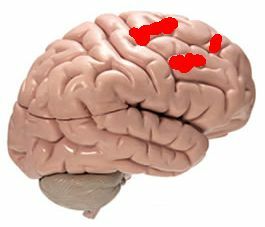 The red marks shown on the illustration below are parts of the brain that are active in a healthy individual when the brain is diagnosed with CT scan. If you are not capable of standing with a foot, then these parts of the brain are inactive and the brain is shrinking. This is a sign that you are unhealthy and aged. I mentioned several exercises in my previous articles like the illustrations below. Many of you do not believe that these simple exercises can keep you young and healthy. Believe what I mentioned. 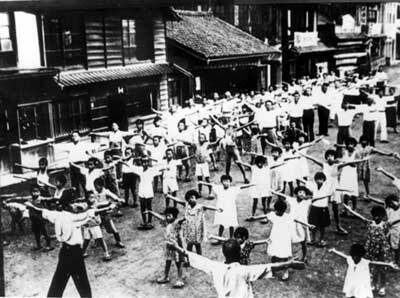 All young Japanese students are obliged to do daily healthy exercises and national gymnastics or should I say a compulsory in our schools since 1928. The photo above was taken probably 40-50 years ago. No wonder that Japanese are the longest living in the world! 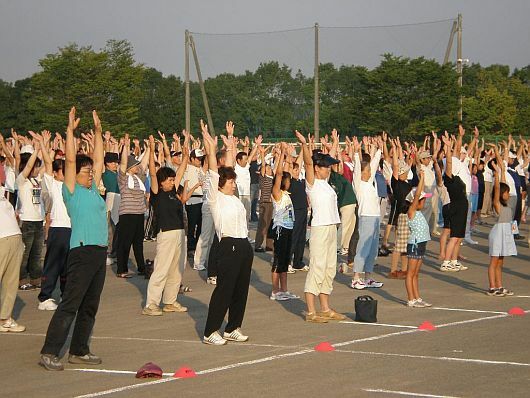 You may have never imagined the powerful benefits that "Tai Chi", a Chinese system of exercise can give to our health and mind. 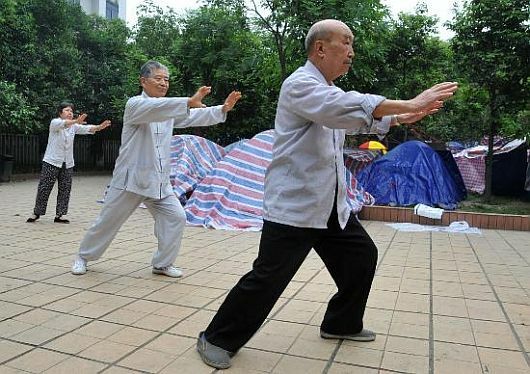 Once you understand the secret of Tai Chi, elders who use cane (walking stick) may not need it anymore. In fact, many of our friends throw their canes. Notice the photo above, where they still look healthy even at old age. 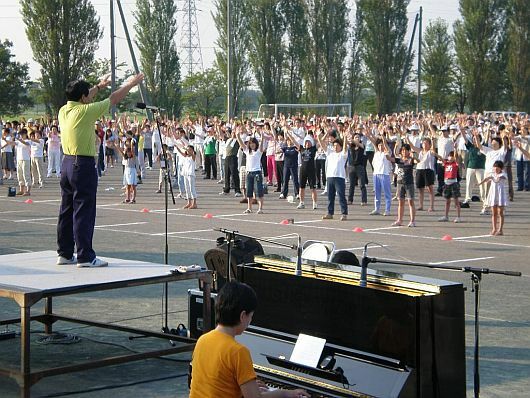 In the next article, I will reveal the secret of Tai Chi, wisdom of God that has been known since thousands of years ago.